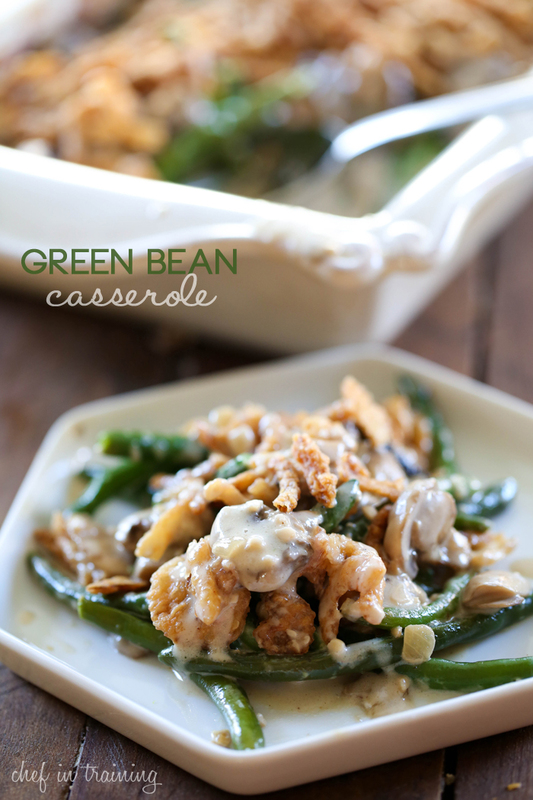 Green Bean Casserole is a classic Thanksgiving side dish. 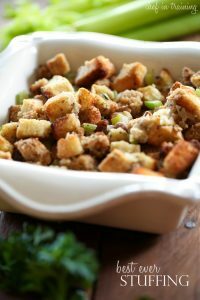 It happens to be one of my husband’s personal favorites when it comes to thanksgiving. I tend to like to avoid canned “soups” when I can. 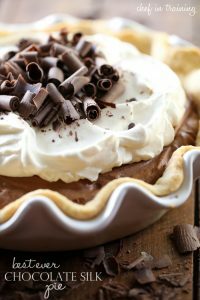 It tastes SO much better made from scratch, even though it requires a few extra steps, the end result is well worth it! The flavor of this recipe is AMAZING! My dad, who rarely can be heard describing something more elaborate than, “It’s good” or “It tastes great” found himself going back for like fourths and raving about how yummy it is! A delicious homemade version of a classic famous side dish. In skillet, melt butter and saute mushrooms, garlic and onion over medium-high heat. Add worcestershire, half and half, salt and pepper and bring to a boil, stirring constantly. Once boil is reached, combine cold water and cornstarch in a small bowl. Slowly pour in cornstarch mixture to thicken. Stir 1-2 minutes until thickened. Evenly sprinkle french onion over top. Yay! Fresh green beans and no canned soup! Seriously, I always hear people ripping on Green Bean Casserole, but it's because they just aren't doing it right! This reminds me a lot of a recipe that I make, except we do a Swiss cheese based sauce (I'm kind of cheese obsessed!). And gotta love those French Fried Onions. I always have to hide them or they disappear before this ever gets made.... Thanks for sharing a great recipe! This looks amazing. Thank you for posting a green bean casserole recipe that doesn't use canned soup. This will be the 3rd recipe of yours I've made this week. The other 2 were a hit so I'm sure this won't disappoint. 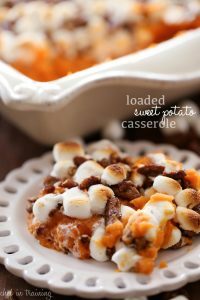 I had given up on green bean casserole because it was tasting so stale after so many years, but this looks too good to pass on. This year I'll be serving green bean casserole again, using your recipe, and I think I'll really be enjoying it, with the Maple Spice Cake Ice Cream and my usual pumpkin pie for dessert. Thank you so much for sharing this recipe. I had honestly decided a couple of years ago that I would never serve the casserole again, so everyone will be surprised to see it back on the menu. Do you think it would be okay to prep this the day before and then just pop it in the oven? 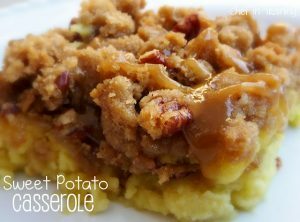 Trying to make Thanksgiving a little less stressful :-) This looks delicious! That's what I'm going to try... I'll just leave off the french onions until I'm ready to bake it. Should work, I think. I must have done something wrong with this one. It just didnt come out right for us.